Unlike humans and dogs, cats are purely carnivores. This means they cannot survive on a diet that isn’t protein-loaded. In the wild, cats will hunt, kill and eat their prey which gives them all the nutrients they will ever need. However, once domesticated, we don’t necessarily want our feline friends hunting for their dinner. This is where a good commercial brand of food enters into play. But how do we know what type of food to feed them? The wet versus dry cat food debate has been going on for years, but science has discovered what cats crave and need to sustain a long healthy life. In this article we are going to explore the basic dietary needs of a cat and the pros and cons of both wet and dry commercial cat foods. 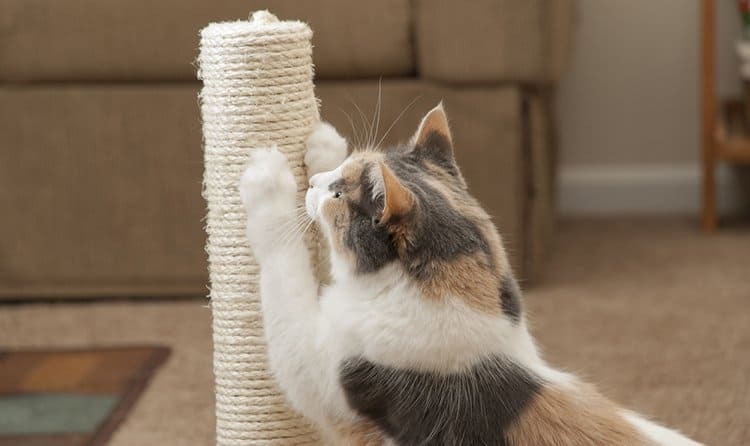 There are five essential ingredients that every cat needs. Whether you feed your cat wet, dry or a mixture of both, these requirements should be met in your cat’s daily diet. Protein is an essential nutrient as it contains amino acids. According to the Feline Nutrition Foundation amino acids are the foundation of a healthy immune system, are responsible for the manufacturing of antibodies and tissues and helps regulate hormones in your pet’s body for a healthy ph level. In addition, amino acids are also essential for the proper growth and development of all cats. Complete proteins are found in many sources like fish, poultry, beef, meat and eggs. Avoid foods which are loaded with grain fillers such as wheat, rice, corn etc. These ingredients do not provide the necessary amino acids that cat’s need, such as taurine, which can only be utilized from a complete protein source. Although we hear a lot of bad news about fat in our diets, there are healthy fats that our feline friends need to be active and healthy. They fall under the categories of omega-3 and omega-6 fatty acids. Just like every living creature there are very specific minerals our cats need on a daily basis. These are responsible for enzyme formation, pH balance, nutrient utilization and the transportation of oxygen throughout the body. Minerals are stored in the bones and muscle tissue and depend greatly on the source from which they are from. Along with minerals are vitamins. Vitamins fall under two categories; fat soluble and water soluble. Both types of vitamins are crucial to the normal growth of your feline, as well as to regulate metabolism. Fat soluble vitamins are those that are stored in the body. These include vitamins A, D, E and K. Water soluble vitamins, on the other hand, pass through the animal’s system during urination. These vitamins include C and B complex. Cats being carnivores can utilize the vitamins found in a good protein source, over those found in plant sources. Every living creature needs water to survive. You should always have fresh water available at all times for your cat. If you are on well water or in a city that adds fluoride to the tap water, be sure to only use filtered or bottled water for your pets, as these additives can be dangerous to an animal’s system. Wet Food vs Dry Cat Food – How Do I Choose? Now that we’ve covered the essentials of the cat’s dietary needs, we find ourselves in the debate over which food is better; wet or dry? In the wild when cats consume prey it is about 70% moisture. Wet cat food, or those that are found in cans or pouches, contain about 78% moisture. Water/moisture is vitally important for your cat’s urinary tract health and it’s general well being. In most cases the best way to help the cat gain weight. According to Catster, cats that consume wet food on a daily basis only need to drink about ½ cup of water for every 10 pounds of body weight during a 24 hour-period. Whereas, dry-food-only-eaters will need to double that intake daily. ● Cat may not eat dry food once it has been fed a diet of wet food. Dry cat food seems to dominate the pet retailer’s shelves. There are many choices of dry kibble that come in any flavor. However, before you purchase a dry kibble as your cat’s only diet source, be sure to read the label. Is the food loaded with grains, fillers and by-products? If so, choose another brand that lists complete-proteins (chicken, fish, beef, turkey etc.) as it’s first ingredients. Grains, which are used as cheap fillers, have no nutritional value to your cat’s health, and by-products are just that, inferior product leftover from the tissue and muscle used for human consumption. Be sure to choose a brand that is listing meat as it’s main source and has a minimum amount of by-products and fillers. We only want what’s best for our beloved furbabies, so when deciding which type of food best suits your cat’s individual needs and your own lifestyle, you will want to take all this information into careful consideration. 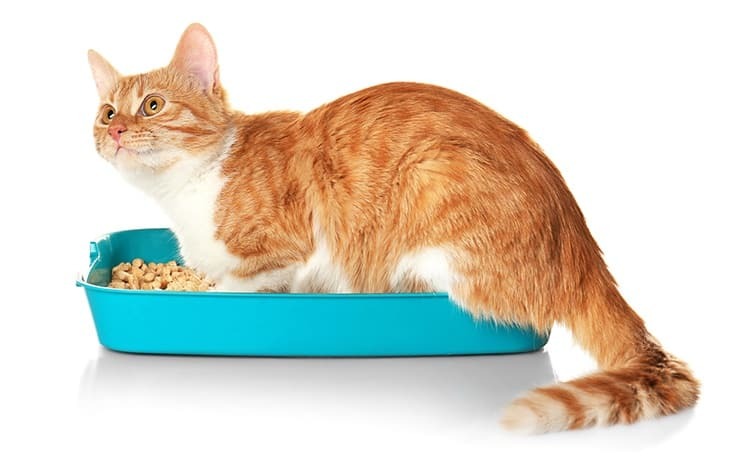 Some pet parents don’t make an exclusive choice on the wet/dry issue, but rather mix in some wet food to the dry kibble, or leave out the dry food to free feed when needed, while supplementing their cat’s diet with a bit of wet food once or twice a day. Whether you decide to feed your cat wet food, dry food or a mixture of both, be sure to choose a quality product. Inferior cat foods will save you money today, but in the long run, your cat could suffer from health issues that may have been prevented with a higher-quality diet. Any thoughts on freeze-dried foods that are rehydrated before feeding? We feed whole prey and prey-model raw, but want to optimize what we have on hand in case of extended power outage.